The US Online Dating Demography: Who Loves Online Dating The Most? Top 9 Dating Sites - The US Online Dating Demography: Who Loves Online Dating The Most? Online dating has become the most popular way of meeting someone, right after meeting through friends and meeting someone in a night club. When it comes to Americans, no one loves online dating sites and apps as much as we do. Research shows that 15% of all US citizens currently use online dating as a means of finding a significant other, while the number only grows when showing the quantity of people who have used dating sites and apps at least once in their lifetime. However, who among the constant 15% loves online dating the most? Although online dating sites are more used by men, the difference between percentages is pretty small – 51% (men) to 49% (women). But what about the age? The majority of online dating clients are young adults, ranging from 18 to 24 years of age. As much as 19% of all online dating users belong to this demographic group, which is no surprise, as these generations of young people practically developed simultaneously with technology. Growing up with the development of modern age proves to bring as much good as it does bring negativity, resulting in upcoming generations showing anti-social characteristics. This is pretty ironic, as dating apps and sites are supposed to bring people closer together (along with other social media platforms). However, only a small percent of young adults are using online dating as a means of finding someone with whom they can have something meaningful. 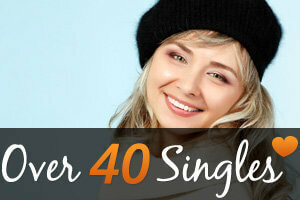 Adults ranging from 35 to 44 years of age are just behind young adults when it comes to using dating services, with 18%. Right after them, adults that belong in the 25-34 age box make up for 17% of all online dating users. The numbers show that the race is pretty tight among adults and young adults. This mostly has to do with the ever-growing numbers of marriages that end up in divorces fairly quickly and with the tempo that modern life dictates. After working for hours without end, who has the time and strength to go out in public and actually meet someone? If they manage to meet anyone at all in the first place. Online dating has been predominately used by younger generation at the beginning of its rule over modern romance. Alas, the game has definitely changed because many studies show that more and more people over the 40th age mark have started searching for love online. 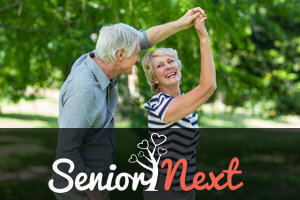 Whether they’re divorced, widowed, or single because they never found someone who is right for them, people in their middle age and even seniors are turning their hopes towards the new age and all of the perks that technology has to offer. Studies have shown that 11% of all online dating clients are people ranging from 45 to 54 years of age; 10% goes to people in the 55-64 age group, while seniors (people over 65) make up for 3% of all online dating users.